Rad-Reader: Was the Natalie O’Brien character based on anyone, since she reminded me of other women I have met who really could run an entire town, they just don’t know it? A.S.: No, Natalie is a complete work of fiction in that respect; however, I know a lot of people who follow bands around or are completely consumed by their love of one singer. They are some of my favorite kinds of people, so those characteristics made it into Natalie's character. Rad-Reader: Even though he did not have him much in your book, I did like your Doyle character was he planned to come off that way? A.S.: Captain Doyle actually has a much bigger presence in the novel SUMMER GIRL, which preceded WILD CHILD. So his character acts consistently between the two books. He's a bit gruff, but he has a big heart. Rad-Reader: The buildup of frustration over the past between the two characters and lack of talking of the past how do you decide when to bring it up? A.S.: It's one of those things that where the longer a lie goes on, the harder it is to come clean. It's like the lie takes on a life of its own. That's why there is no real "decision" to come clean, but it happens accidentally in the heat of the moment. Rad-Reader: Was it always your intention for the two of them to go on a road trip? A.S.: Yes. SUMMER GIRL takes place completely on Little Bear Island, and it's made clear in that novel that Natalie has always wanted to get off the island and see more than the tiny world that has been her existence for 24 years. 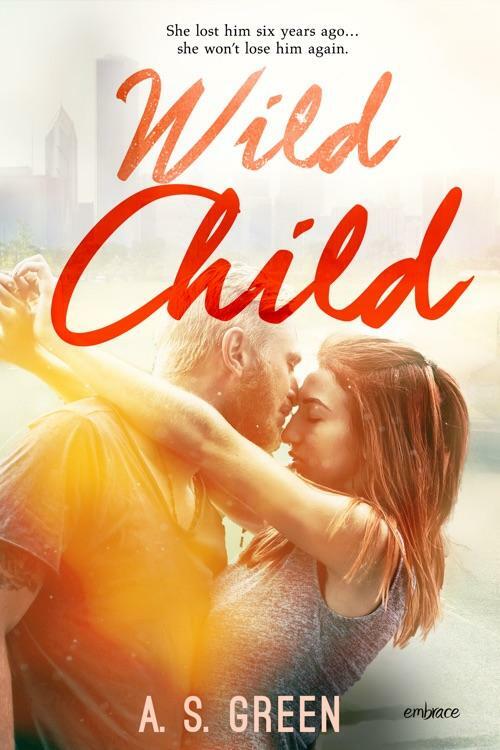 That girl was just made for a road-trip novel and WILD CHILD gives her that chance. Rad-Reader: I like how you make the reference to Ghost Hunters and also when they are at one of the locations. Have you gone to any of their places? Use to watch the show a lot. LOL! A.S.: No, I would be too terrified. I had a co-worker who lived in a haunted house and just listening to her stories about killed me. Rad-Reader: How do you come up with all of the different characters? Example the employees at Jax Security office? A.S.: I was really trying to make a strong distinction between life on the island and life in New York City. The island is a very homogeneous place. NYC has the diversity that was lacking in Natalie's life, so I made a point of that. Rad-Reader: Is Kate really Natalie’s friend or just the person you don’t want to tell your secrets to? Friend or Foe? A.S.: They are very good friends, though Kate gives Natalie a fair amount of teasing. It's deserved. Natalie gave Kate a hard time when she was figuring out her own love story in SUMMER GIRL. Rad-Reader: How did you come up with Natalie doing so much on the island, DJ, working at a clinic, post office, even resetting the postmarking machine? A.S.: When you live in a small place like Little Bear Island, everyone pitches it to make things work. Natalie also has the history that taught her that if you want someone to like you (love you) you got to be "all things." It's a flawed premise, but it worked for her in the past with her parents, so it just became a natural part of her personality. Rad-Reader: Do you know anyone who drinks coffee like Jax, with a mug when driving without spilling? My daughter goes crazy when I do it. Rad-Reader: Some of the best moments are the bantering between them is in the car. Did you have to stretch for words or did “sometimes I’ve got nothing in my head” come from some other guy? Haha! A.S.: That is a direct quote from both my husband and my son (on separate occasions). My head is always so busy, and the fact that they can let their brains go silent is amazing to me. Rad-Reader: It was nice how you would always have someone to call or text her from the island. Was that always your plan? A.S.: The purpose of that was to always remind Natalie (and the reader) that she had a home to go back to if/when things didn't work out with Jax. A.S.: I don't know if "people" have those conversations, but Natalie did. I don't know if anyone still buys Wilson Phillips albums, but that was her point. If you did...If you were such a huge fan that you wore their T-shirt, that would say something about you (probably your age. Ha!). Natalie owned several Foo Fighters T-shirts and she was pissed that Jax hadn't noticed, and hadn't understood the significance of what that said about her. Rad-Reader: When you write do you come up with all of your characters or do you add some as you go along? A.S.: I know my main characters before I dive in. And then I have some "placeholder" faceless characters that take shape as I write. Rad-Reader: The voice of Natalie I found that I could relate to her sarcasm. Was she easier to write than Jax? A.S.: I usually have a much easier time writing male characters than I do female characters. I think that's because I have more male friends than female friends. So, no, Natalie was harder for me to write; however, her sarcasm is all me. Rad-Reader: I know it’s just a book but talking about buying vintage stereos and an entire vinyl collection made it more interesting. I am someone who has over 1500 albums so that was nice to read. Do you collect records? A.S.: I had a small collection when I was younger and they all disappeared when my parents moved. So I've got nothing! But one of my best friends has a fantastic collection, and I dedicated the book to her. Rad-Reader: I must say I did not see Jax character going where he did. Thought he made steps but you set us up – Was that your plan all along? That was Denny’s best part of the story. Rad-Reader: Are you able to write your own stories or are you under contract by a publisher? A.S.: Over my career, it's been a little bit of both. Lately, I write what I want and then see if anyone bites. 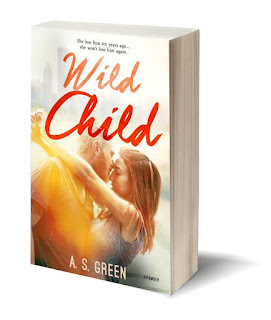 A.S.: I actually have a start on a Pinterest board for this book: https://www.pinterest.com/asgreenbooks/wild-child/ The younger picture of "Jax" is what I pictured him looking like when they first met...then the older version. A little more Hemsworth-y. Rad-Reader: If money was not a problem where would you find yourself living? A.S.: Ireland. I'd love to retire there someday. Rad-Reader: Did you always know you wanted to be a writer? A.S.: Yes, I've been writing books since I was five. The first ones were just little things my dad would make copies of on his office copy machine, and then I would pass them out to the neighbors. Rad-Reader: Do you write fulltime if not what is your other job? Yes, mommy is a fulltime job. A.S.: I am a lawyer by day, and a writer by early morning, lunch breaks, evenings, and weekends. A.S.: I have a novella called ROUGH RIDE that's coming out from Harlequin's Carina Press on July 30th. Then I have the third book in the SUMMER GIRL, WILD CHILD world completed that I hope will see the light of day. Thank you so much for taking the time out of your day to answer these questions. I really enjoyed your book and look forward to reading another one of your books very soon.